Even a capable developer can get fumbled by the components of a full speech interface. Some might think, “Voice recognition sounds good enough,” but that’s just the first step. Voice recognition can fulfill your dictation needs, but when applied to use cases that call for a full voice interface, it’s not only inefficient, it’s the lead cause of users screaming and cursing at their technology. It’s our privilege and sacred duty to set the record straight. Speech recognition, speech to text, voice recognition, voice to text and automatic speech recognition (ASR) all refer to the same function: transcribing your spoken words. This first step converts your speech to text so that it can be processed (e.g. dictating an email or text to your mom). Devices need that component before anything else can happen. Option 1) You can use our ASR. This technology is based on statistical and acoustic data from over 2.5 billion processed requests to date. Once our clients have an implementation with api.ai, we can provide custom language models based on domain knowledge. 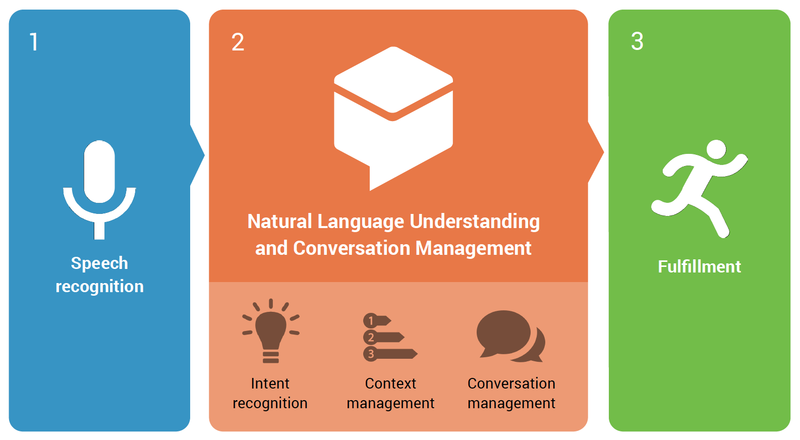 Dynamic language models can also be generated or selected based on conversation and dialog focus. Option 2) You can use any 3rd party ASR provider. Intent Recognition: Needed to understand your user’s intent or meaning. Context Management: Needed for multi query cases. Conversation Management: Needed to support back-and-forth dialogue. The speech that has been transcribed into text is still foreign to your technology and it won’t know what to do with it. Step 2 takes your text, which is your natural language input, and turns it into a structured object so that your product will understand. In other words, it uses Intent Recognition to understand what the user is asking for. 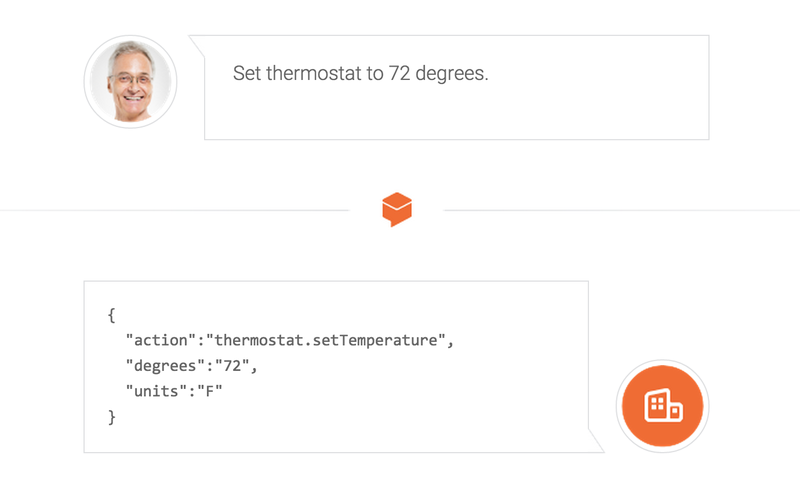 For example, a user could say, “Set thermostat to 72 degrees,” or “Thermostat to 72,” and the words are transcribed and then translated into an easy to rea d – for the device – structured object. Conversation Management allows for the engine to seamlessly switch between conversation topics, while remembering what you were talking about (just like you wish your girl/boyfriend would). Users can also have clarifying conversations with your product in the same session / conversation across devices. So ask yourself, “Am I looking for transcription technology (speech to text)? Or for a back-and-forth dialogue interface that can deliver on my users’ requests?” Because afterall, who wants to live in a world without fulfillment?